OFA24E CH Bay Breeze "The Outlaw"
He is 25 inches tall, and weighs 55 lbs. He is calm, smart, loving, gentle, and a real lover! 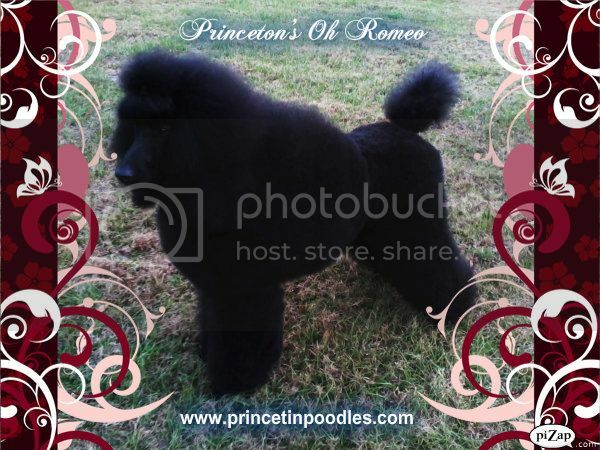 Research Pedigree - 5 GenerationPrincetin's Academy Award "Cleopatra"
Name: Princetin's Academy Award "Cleopatra"
Hip clearance: OFA PO-18523G33M-PI "GOOD"
Eye clearance: CERF 985 121 006 098 941 "NORMAL"
VWD clearance: Other 72410 "CLEAR"